A bank account in Seychelles can be set up by any kind of investor from abroad. It is good to know that there are cases where some financial institutions reserve the right to choose their customers. Furthermore, a bank account in Seychelles will allow the opening of other accounts in varied jurisdictions with less effort and paperwork. Complete details about how to open a bank account in Seychelles can be requested from our company formation agents in Seychelles who can also help entrepreneurs set up their business in the insular state. • a board resolution for opening the bank account in Seychelles. As for a natural person who wants to open a bank account in Seychelles, he/she must provide a copy of the passport, documents revealing the address and also a recommendation letter from another financial institution. Please keep in mind that drafting the documents for setting up a bank account can be supervised by our specialists who can also help individuals set up companies in Seychelles. Opening a corporate bank account in Seychelles requires complete attention on the company documents solicited by the financial institutions in Seychelles. For such an account, documents like the certified copies of the passports of company members (owners, directors, and signatory) are needed. Also, the residential address found on a utility bill or bank statements is requested by the bank. There are also specific conditions like drafting a minimum deposit of $10,000 within 4 weeks of setting up the bank account. All documents must be translated in the English language and the best part when opening a corporate bank account is that the owner is not obliged to travel to Seychelles for setting up the corporate bank account. Do I need to maintain a minimum balance for the corporate bank account? Yes, a minimum balance of $25,000 needs to be maintained after the bank account is open. This is a condition imposed for corporate bank accounts in Seychelles, and if not respected, additional fees can be charged by the bank. A corporate bank account is normally open in approximately one month, but if there are other requirements, the period might prolong up to three months. Do I receive online banking services in Seychelles? Yes, a corporate or a personal bank account can be accessed at any time with the help of online services and applications. This means that you can transfer money in Seychelles or abroad, verify transactions and account balance at any time you wish. All bank accounts come with a credit card, in accordance with the needs of the client. Also, if you are interested in foreign currencies for international payments, you should ask the bank for such services and see if there are other requirements imposed. Opening an offshore in Seychelles and also a bank account are not difficult procedures, however, it is recommended to avoid any mistakes in terms of documents and requirements. Our company formation specialists in Seychelles are at the disposal of foreign investors looking to open a bank account for a company in Seychelles, without having to travel in the country. From the beginning, we remind that setting up a bank account in Seychelles can be done within a few days if all documents are accepted. The customers are protected when opening a bank account in Seychelles, and even more, the authorities in the state won’t have access to personal information. Such bank accounts are related to the offshore companies registered by investors in Seychelles, and in many cases, according to the rules of the bank, there are no taxes. We remind that businessmen from overseas can open bank accounts without having to visit Seychelles, as we can handle such requirements in complete privacy. 1. Is it hard to open a corporate bank account in Seychelles? No, the procedure of opening a company bank account is not complicated in Seychelles. 2. How long does it take to open a company bank account in Seychelles? How about a personal one? No matter the type of bank account you intend to open, the procedure takes about 2 to 3 weeks. 3. Do I need to come in person if I want to open a bank account in Seychelles? No, a power of attorney will be sufficient for a proxy to open a bank account on behalf of foreigners. 4. Can I set up the bank account in an international currency? Yes, most Seychelles banks allow the opening of bank accounts in other currencies, such as US dollars and Euro. 5. Do I need to secure a minimum amount in the account? Yes, Seychelles banks usually require a minimum initial and a monthly deposit. The amount of money required depends on the bank and if the account is personal or corporate. 6. Can I establish an anonymous bank account in Seychelles? No, the legislation in Seychelles does not allow the opening of anonymous bank accounts for locals or foreigners. Banks in Seychelles need to know their customers in details without exception. The only thing permitted is opening the bank account without traveling to Seychelles. Yes, international laws protect clients aby offering confidentiality when it comes to personal information. However, it is good to know that according to the legislation in Seychelles, the banks are obliged to report and provide financial details to the entitled tax authorities in the insular state. If litigation matters occur, the bank is required to disclose the personal information besides the financial details. 8. Is due diligence be performed by a bank? Yes, banks in Seychelles can perform due diligence and personal and business information before opening an account. 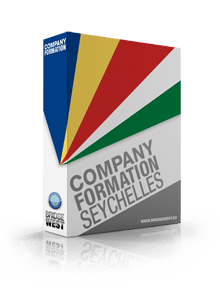 A cash flow forecast and a complete business description are also solicited by the bank in Seychelles. These institutions are interested in the real owners of the company, though, they provide confidentiality when it comes to personal information. 9. Can I be rejected by a bank? Yes, there are cases in which a bank can reject a specific company or client. Such a situation usually occurs if the financial institution does not accept a certain type of business or a client from a specific country. The business background is normally verified by the banks. Even though these are rare cases, it is good to know that banks can reject clients on solid grounds. 10. Are there any fees related to the bank account in Seychelles? Yes, most of the banks are imposing monthly or periodical fees, plus charges related to bank transfers and money transactions. There are also financial institutions that offer free of charge services like internet banking. All clients are normally informed by each fee before a bank agrees on the documents and open an account, whether for personal or for corporate matters. Opening a bank account in Seychelles is not time-consuming and involves no special formalities, but it is recommended to ask for support from our team of company formation representatives in Seychelles, in order to avoid any possible misunderstandings and to properly align with the requirements of the chosen bank. We remind that you don’t need to travel to Seychelles for opening a bank account. If you are an individual willing to open a bank account in Seychelles for personal matters or for corporate reasons, we invite you to contact our team of agents in company incorporation in Seychelles.